Last weekend we went camping for three nights in East Sussex. It was a completely wonderful, relaxing few days which left us recharged ready for the autumn rush! 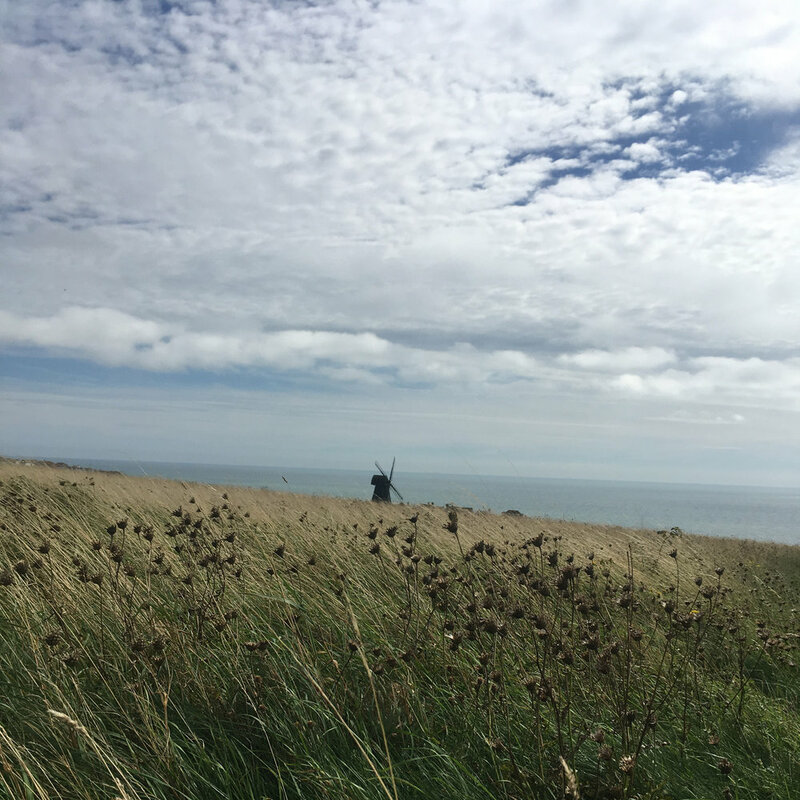 We had great weather and did lots of lovely things including swimming in Saltdean Lido on the last day of the season, walking from Ditchling Beacon to Lewes and checking out Rottingdean windmill. Wheeling our stuff from the car to our pitch! The view from the Ditchling Beacon. Rottingdean windmill in the distance. Saltdean Lido - there were only four of us in the pool - bliss!